Writer Charlene James has taken a stark look at female genital mutilation (FGM) and immersed that into a play about friendship, culture and the suffering young girls have to go through to become a woman. With three million girls undergoing some form of the FGM procedure, it is becoming a growing problem as over 500,000 women in the UK have experienced FGM. Whilst people think this is just an issue abroad, it is frequently happening to British girls in England. James has focused her piece on the Somali community in Britain. 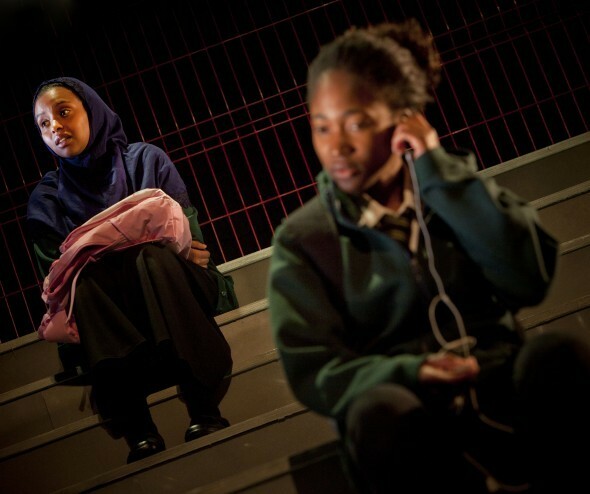 It is a performance about two young girls, Muna (Adelayo Adedayo) a British girl with a Somalian family and Iqra (Tsion Habte), a Somalian refugee who has recently been sent to the UK. Muna is a high-spirited, animated modern young girl who is truly engulfed in the British lifestyle. As she sings along to Rihanna, moans about her teachers and cracks jokes in her streetwise tone, as the play progresses her emotional instability is evident as she fights to protect her younger sister from having the procedure. Her anxiety intensifies as her sister’s 7th birthday approaches. Adedayo’s approach to the role is outstanding, as each line is delivered with an incredible depth of emotion as she expresses her traumatic experience and fears for her sister. Contrastingly, Iqra is a timid young girl who is utterly grateful to be in the UK despite the circumstances. 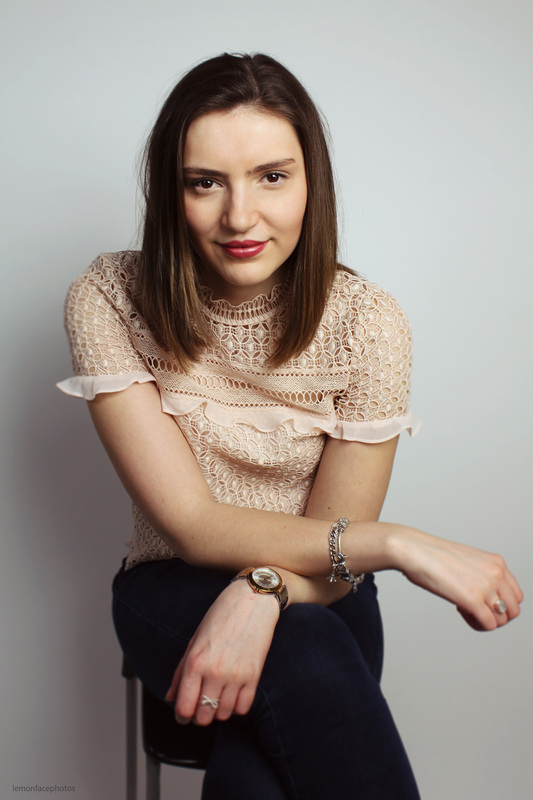 She does her best to please everyone and is desperately trying to make friends, despite being “the new girl with a strange accent.” Although she wants to become more in tune with British culture, she defends FGM and states it is an important part of being a woman. Habte conveys raw emotion when she talks vividly about her family that were killed in Somalia. The tears glisten in her eyes as she speaks her thoughts aloud, sparking a heartfelt performance. There is a sense of urgency in James’ writing, with sharp punchy lines that maintain a strong pace to the production. There are laugh out loud moments intertwined with utterly heartbreaking scenes containing dialogue that will stab straight through your heart. The set design provides an effective backdrop to the performance, consisting of a large set of grey stairs with entrances and exits built inside. This allows the two girls to interact yet have their own solitary moments as the stage before they interact together. The audience are left with a haunting final image as the stairs light up to reveal hundreds of pairs of small, colourful little girl’s shoes, heightening the horrific nature of the act that is forced upon young, innocent girls. Cuttin’ It is a play many women will connect to and empathise with. Exploding with powerful emotion, the production is excellently written which translates on stage as a highly moving piece of theatre. Cuttin’ It is on at the Birmingham Repertory Theatre until the 18th of June and tickets can be found here.